First it was demoted to a “dwarf planet,” leaving only eight proper planets in our solar system. Then scientists reported that another dwarf planet, Eris, is bigger than Pluto. And now the final blow: Eris is 27 percent more massive than Pluto. 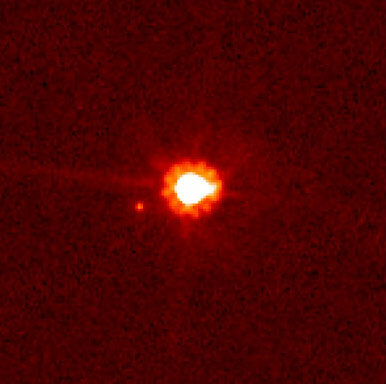 Scientists Michael E. Brown and Emily Schaller at the California Institute of Technology in Pasadena used the ground-based Keck Observatory and the Hubble Space Telescope to determine the mass of Eris: 16.6 billion trillion kilograms. Brown and Schaller calculated the mass by measuring the time it takes for Eris’s moon Dysnomia to complete an orbit.